If you’re thinking about buying Ripple, you’re not alone. The blockchain-based remittance network and real-time settlement system designed to replace the SWIFT global financial messaging system gained a lot of attention from the media and investors in 2018. Why? The price of its altcoin XRP has rapidly appreciated, putting it in position as the second largest altcoin by market capitalization. Ripple is available on most major crypto-exchanges. 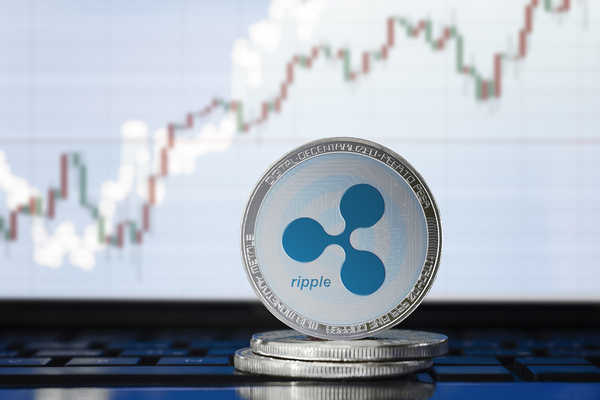 While Ripple doesn’t endorse any specific exchange, it lists 28 different exchanges where XRP can be purchased, including Bittrex, Coinone, and Kraken. In some cases, fiat currencies can be used to buy XRP and in others, you need to buy BTC or ETH first and then exchange those for XRP. Because it’s easiest to make a purchase of Ripple with U.S. dollars, we’re going to take you through an XRP purchase on Kraken, step-by-step and with photos. 1. 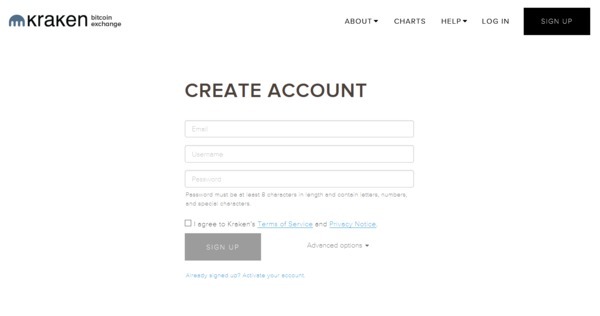 Open a web browser and go to Kraken to register an account. You’ll need to provide your email address, a username of your choosing, and a password. 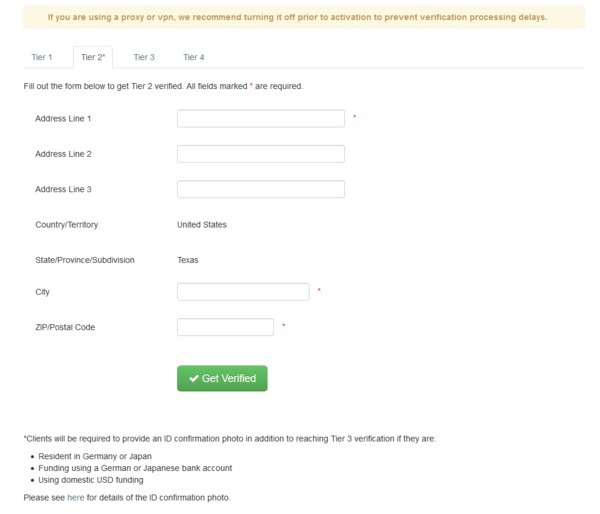 Once those are entered, tick the box to agree to Kraken’s Terms of Service and Privacy Notice. You may also have to click the box to prove you aren’t a robot. Then click “Sign Up”. 2. Head over to the email you used when creating your Kraken account and look for an email from the exchange. Open the email and click the activation link. 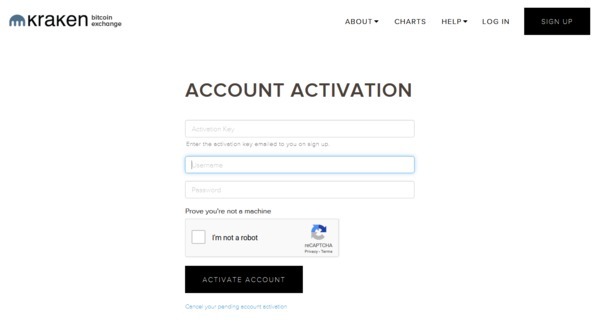 Alternatively, you can copy the activation code and paste it in the account activation form here. 3. Next, you’ll need to get verified if you want to buy Ripple. To do so, click the link in the welcome message presented the first time you log into your account. Alternatively, you can go here at any time to verify. To deposit fiat currencies, you’ll need Tier 2 verification. Before you can apply for Tier 2, you’ll need to get Tier 1 verified. This requires your full name, date of birth, country of residence, and phone number. While that verification is processing, you can also submit for Tier 2 approval, which only requires your address in addition to what’s already been submitted. Note that some jurisdictions require Tier 3 verification to make fiat deposits. In this case, you will need to provide government-issued ID and proof of residence information. 4. Once your account is verified, you can fund it by going to Account -> Funding -> Deposit and choosing the type of deposit you would like to make. Kraken provides detailed instructions for depositing and withdrawing fiat in their Support Center. 5. Once your account is funded, you can buy Ripple. In your account, click Trade -> New Order and in the upper left corner, click the drop-down to select XRP/USD. Then make sure the “Buy” button is selected (it will be green) to buy XRP with USD. You should see the button also says “Buy XRP with USD”. You can enter the amount of XRP you’d like to buy and can enter your own price or choose a market order and the current market price will be used. 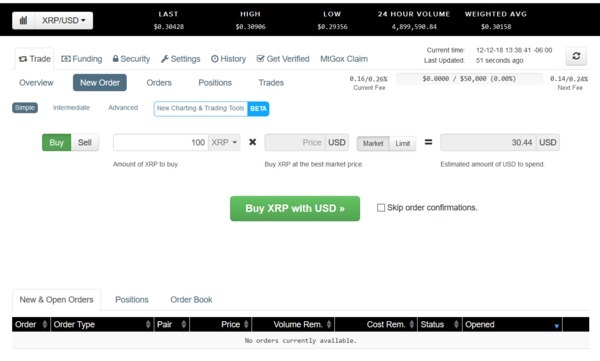 When your order is ready, click “Buy XRP with USD”. For more information about placing orders see the Trading Basics in the Kraken Support Center. 6. Pro Buyer Bonus Tip: You can keep the Ripple in the wallet at your Kraken account, but that isn’t recommended for security reasons. Instead, you should move it to your own Ripple wallet. 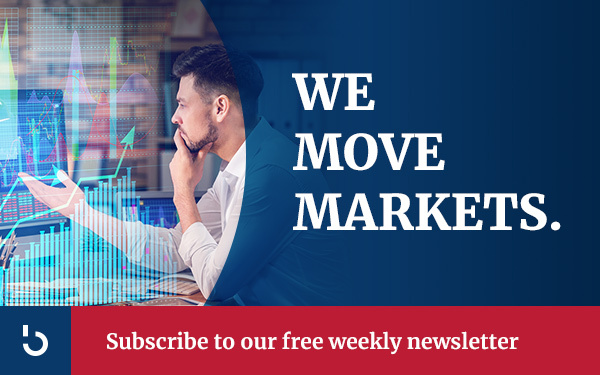 While you’re enjoying your Ripple, take a moment to subscribe to the Bitcoin Market Journal newsletter for more great guides and walk-throughs on the crypto markets.